In Denise Deegan’s boarding school favourite, scholarship student Daisy embarks on her first year at Grangewood, beset on all sides by snobbish schemers, hockey matches, and the rumour of hidden treasure. Larks ensue. At its best Daisy Pulls It Off is light and delightful as a souffle, even if there are moments when it struggles to rise. There is a sense that this outing is still finding its identity somewhere between pastiche and straight-faced. For the most part, it’s left pretty uninterrogated, including a few broad, uncomfortable laughs at the expense of piss-take “working class” caricatures and regional accents, despite the consciously inclusive age and gender blind casting. Anna Shaffer, making her stage debut in the title role, is more Pollyanna than the “fearless tomboy” we are promised. 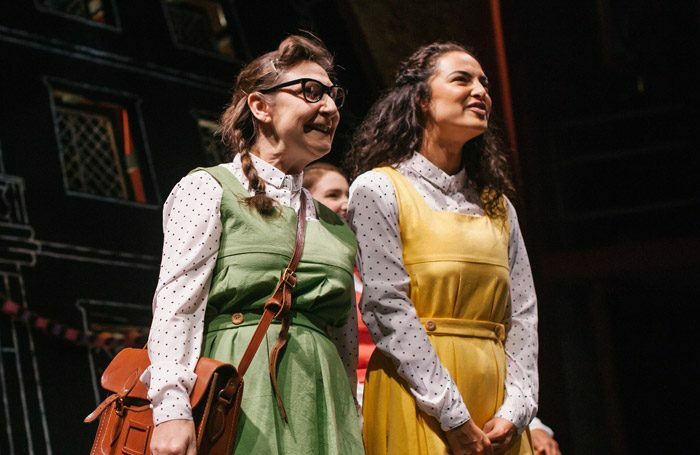 The show is at its best when it allows itself a madcap, panto-ish energy – Pauline McLynn and Clare Perkins are standouts, leaning whole-heartedly into the anarchy. McLynn imbues schoolgirl Trixie with manic delight; Perkins’ sonorously voiced adolescent is a gag that only gets funnier. 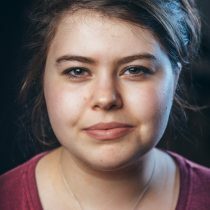 The more eccentric the choices, the more they pay off, nailing down the tricky territory of Deegan’s script – there is excellent support too from Lucy Eaton and Melanie Fullbrook in a handful of roles between them, exuberant and tongue in cheek at the same time. Paulette Randall’s staging embraces imaginative simplicity, with chairs and blackboards pulling heavy duty as a dozen different locations – there’s a lovely bit of ensemble storytelling involving a daring rescue from a cliff edge where you can all but feel the sea spray – and Libby Watson’s design has a satisfyingly kitsch quality, all pastel pinafores and chalk drawings.